Rev. 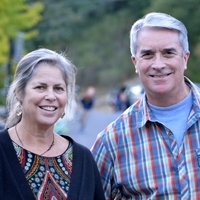 Will Nelken and his wife, Martha, were married in 1974 and have raised three children and live in Fairfax, California. Will has served as the pastor of Trinity Community Church since 1984. His passion is to know the Lord Jesus Christ and to make Him known, and bring healing to those who make up the Church. He is a pastor-teacher, gifted in the areas of worship and prophetic counsel. Martha is a Registered Nurse, serving as a supervisor at Marin County's Health and Wellness Campus. She is a woman with the gift of hospitality, and also teaches in our Children's Church. Rev. Nelken has been ordained by the Assemblies of God since 1978, and served the Northern California and Nevada District as a District Presbyter from 1993 till 2000, and from 2006 to the present. He has been a member of the District's Spiritual Life Committee, Parliamentary Committee, Resolutions Committee, and Bylaws Review Committee. In 1976, he co-founded Discipleship Dynamics Church Ministries, an evangelism-discipleship training program for local churches, and served as its president until it ceased operations in 1998. In 1985, he co-founded the Marin Association of Evangelicals, presiding over the group for five years. From 1995 to 2005, he was a member of the Mission Marin Servant-Leader Team, which promoted a local, trans-denominational, united prayer movement. In 1995, he helped form the Chaplains Unit of the San Rafael Police Department. He served for five years as a corporate officer of the Marin County Chaplains Association. He also serves in the Chaplain Unit of the Marin Medical Reserve Corps. He has been a skilled computer programmer (TAPL) and has authored two books on the subject and numerous magazine articles. No longer involved with programming, he continues to use computers in ministry and to foster other interests in photography, graphic design, writing, and music. He and his wife also volunteer with Guide Dogs for the Blind. They have been blessed with three children-in law and six grandchildren.